Building on a previous post from two months ago and somewhat revising it. 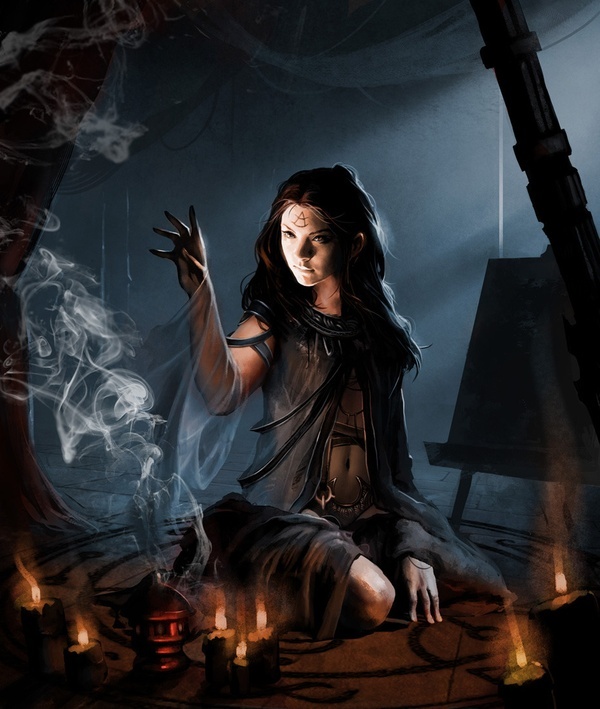 I always want to do more with magic than it simply being there and wizards casting spells as if it’s a simple science. For me it also needs a mystical element that waves it into the nature and origin of all reality. To come up with something for this setting, I looked at what the primary role of supernatural forces in the world would be. Which clearly is the effect of different regions becoming more or less magical or magically corrupted and this affecting how civilizations develop and decline. There are also gods of the land that have some control over it, and priests and sorcerers who want to take that control for themselves. The casting of spells by mages as a weapon or to do useful things is still very much a secondary thing in the worldbuilding and I don’t have any real plans for how that should look yet. So I’ve been looking at magic as a divine and natural force first and build a metaphysic model for the world before going deeper into available spells and magical items. As of now, I am working with the magic sytem of Symbaroum in mind, from which the three magical traditions are directly taken. Magical energy is both the source of the life force in all living things and the power behind all natural forces. It’s the energy of earthquakes, volcanoes, and storms, and as such also governs flooding, droughts, avalanches, and wildfires. In its primordial state the world is raw Chaos, just the basic elements without any structure and order. It is the will of spirits that makes the primordial chaos take form and give it structure. All the lands exist because they are given shape by the Gods of the Land. There are countless spirits of greatly different power, but they all together form the environment that exists around them. In the natural order of things, mortals are not the masters of the world, not do they have any preferential position in it compared to all the animals they share it with. The untamed wilds are a place that is harsh and dangerous and full of things much more powrful than people. But mortals always have the desire to shape the environment around them to be less dangerous for them and provide them with more prosperity. The oldest form of such attempts is Witchcraft, the practice of appealing directly to individual spirits of great power whose influence over the land can make an important difference to the farmers and hunters and their villages. At some point Witchcraft was surpassed in many places by Theurgy. Instead of appealing directly to numerous indivdual spirits of the land, priests began to pray to greater gods of much greater power and far wider influence. In the End, two cults became dominant that worship gods that have become known to be sympathetic to the plights of mortals and responsive to their pleas. Nine in the North and Seven in the South. (Six of which are identical.) Their ability to influence the natural world is tied to the faith of the people who inhabit the lands and as such the building of temples and the performance of rituals is a very important element of society. 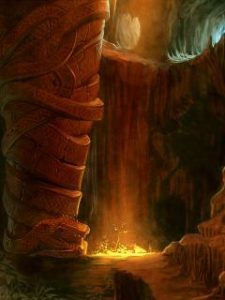 The true power of the gods is found only where the faithful take it, while at the same time abandonment of the Gods of the Land diminishes their influence and power to cause disasters and other calamities that are cause of suffering for mortals. But it is the nature of mortals to always seek to improve their lot and gain power that rivals that of the gods. All the prayers and rituals of the priests have their limitations and they are unable to make all the beneficial changes to the environment that are possible. Some think they know better than the gods what mortals really need and developed the art of Sorcery. Sorcery attempts to gain the powers of the spirits and reshape the surrounding world to provide greater prosperity, wealth, and security. However, the natural world is a fragile thing and witches and priests are both in full agreement that it should be left in the hands of the gods to reshape the lands to the greater benefit of their worshippers. 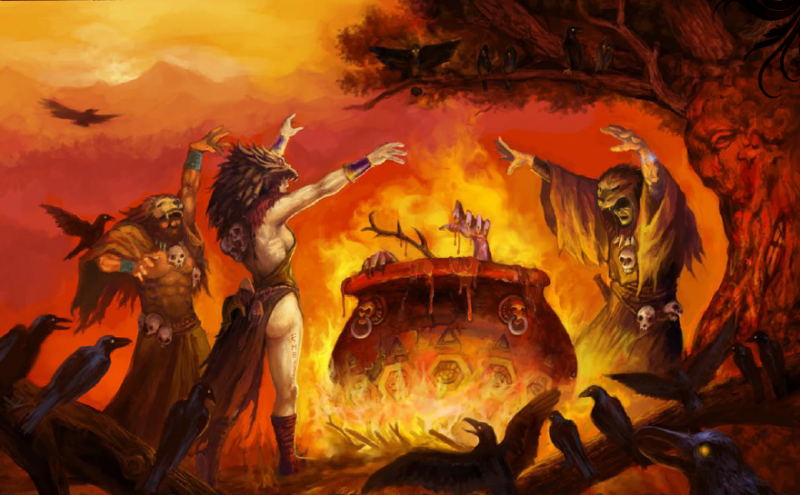 Sorcery has achieved a number of marvelous wonders, but much more prominent in the minds of most people are the many disastrous catastrophies that turned whole lands into barren wastelands or regions haunted by nightmares. Except for a few places, Sorcery is feared in all lands, and in many places ruthlessly exterminanted by both priests and witches where discovered. In the present day, worship of the Nine Gods and the Seven Gods is the dominant religion in allmost all settled lands. But Witchcraft snd the worship of Gods of the Land is still practiced in many border regions and isolated settlements that have almost no contact with the great cities that are the centers of Theurgy.